Poo Poo Platter!!? YUCK! Ha ha ha ha!! This zoo was awesome! Even though the season limited the variety of animals that were out, there were plenty to fill up our day. And they were so close! ...and, thanks to our Bronx Zoo membership, it cost $5 for us to get in... sweet!! Great way to spend the day!! 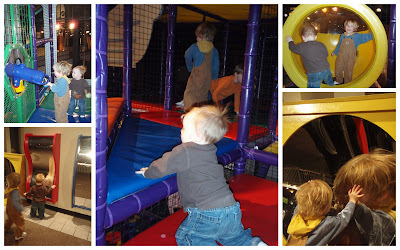 They have a 3-story play area with air cannons, slides and tunnels, a K'nex station, a hands-on fossil dig... although lots of things were geared toward older kids, there were plenty of things for the little guys. Newtie slept through the IMAX, Buzzy was enthralled. Free admission thanks to our local MOST membership! 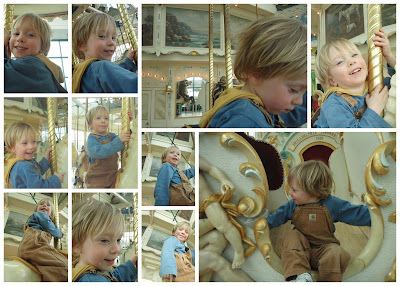 We spent some time at the Carousel Mall, for a quick, no-frills dinner and mostly for um, well, the carousel.